Robert Palmer is the owner of Jacksonville Armada. He is admittedly new to the soccer landscape, but a seasoned vet when it comes to building businesses, bringing fresh ideas to the table, and finding innovative solutions to complex problems. One of his latest problems that he has encountered is indeed a soccer problem. And you’ll hear me tell him multiple times that I’m thankful that he has stepped into American soccer arena. More specifically, I’m thankful that he has been and still is willing to fight for what he believes is right. Because one thing him and I have in common is the belief that soccer in America can be so much bigger, and so much better, but there are unnecessary roadblocks preventing people like Palmer and players, coaches, and entire communities across the country from enjoying the full benefits that soccer has to offer. Many new people asking to join the #DivisionZero Task Force meeting tomorrow. In 2017, the NASL, the league Palmer’s Jacksonville Armada last played in, lost it’s divisional sanctioning. That left Palmer, and the other NASL owners, scrambling to find a new league to play in or come up with a new plan in order to continue playing. You’ll hear Robert say in this interview that the group NASL owners might have made the wrong decision when they decided to stop pursuing an avenue to play soccer and to go all-in on a lawsuit against USSF. But whether or not that was right or wrong at the time, Robert Palmer hasn’t stopped looking for new opportunities that will bring Armada back on the field in the future. This interview was an interesting one. When I spoke to Robert, he was in Chattanooga, Tennessee for a meeting other lower division soccer owners, administrators, players, and fans to throw ideas at the wall and see what sticks. Judging from the Tweets that he and others put out over the course of the weekend, It sounds like the conversation was good, and that “lower division soccer” as we know it might be getting a makeover as a result. Great meeting with @USAdultSoccer today. I want to admit that I didn’t do nearly enough homework about Palmer and his businesses in order to get the most out of him. He’s a fountain of knowledge, especially in the area of sitting down and dealing with USSF face to face. And I didn’t tap into that as much as I probably could have. Why? Well, the interview literally went from proposal to recording overnight. In a perfect world, I would have liked to have more time to study, but in the world of interviewing millionaire soccer team owners… you just don’t say no when you get an email saying “he’s ready to go today, let’s do this.” So, if my questions seem clunkier than usual, I apologize. Thankfully, Robert is a pro and his answer and stories more than made up for everything. I also want to explain something that is going to seem weird, and by my own standards, soft. You’ll hear me ask Robert about his “festival” style stadium set-up that he has started encouraging communities to try. And when you hear me talk about it, it’s going to sound like I want the focus to be taken off of soccer and put onto gimmicks like music and fireworks and other experiences that MLS already tries. Again, this came out clunky because of my failure to prepare for this interview, but it’s something I’m passionate about and it just didn’t come out right. At a previous job, I was an event organizer and worked specifically in music and concert promotion in a small college town. And I have worked on improving the event experience for years of my life. I’ve seen first hand what it can be like when you involve an entire community in things they are genuinely passionate about. But most of all, I’ve learned that small towns and cities across America are genuinely passionate about where they live, their neighbors, and showing outsiders what they have to offer. In a nutshell, that is exactly what is missing in American soccer. A genuine connection, not only between soccer fans and the team but the team and the actual community itself. Getting entire communities involved on game-day, whether we’re talking about a local recreational league, an NPSL team like Stockade FC, or professional teams, is what small and mid-size towns and cities can do better than most large markets that MLS is trying to limit soccer to in this country. Their scarcity model, which Robert talks about in this interview, is giving us a watered down version of soccer in this country. In my opinion, teams should be an authentic reflection of a communities identity and history. But we get franchises that are created out of thin air that tell communities to accept their image and play by their rules. I’m sick of it. Robert Palmer is an advocate for community-based soccer – and so am I. It is something I am passionately advocating for. And if it takes some out-of-the-box ideas in order to spark something to gets a community fired up – I’m all for it. 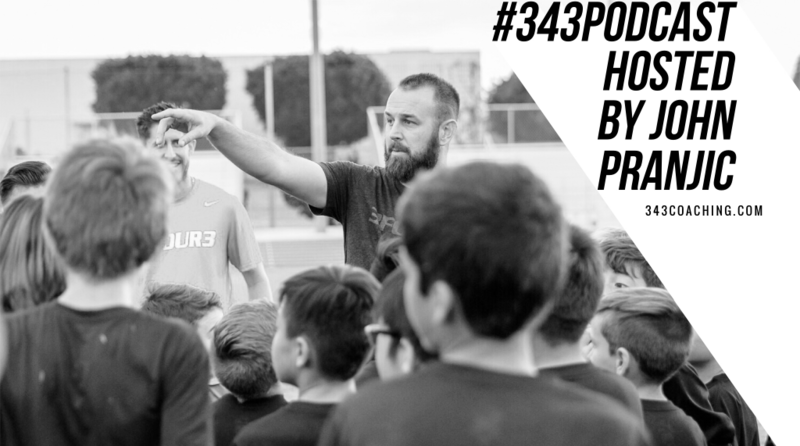 This is brought to you by the 3four3 coaching education program. We've got an introductory membership for you at no charge.